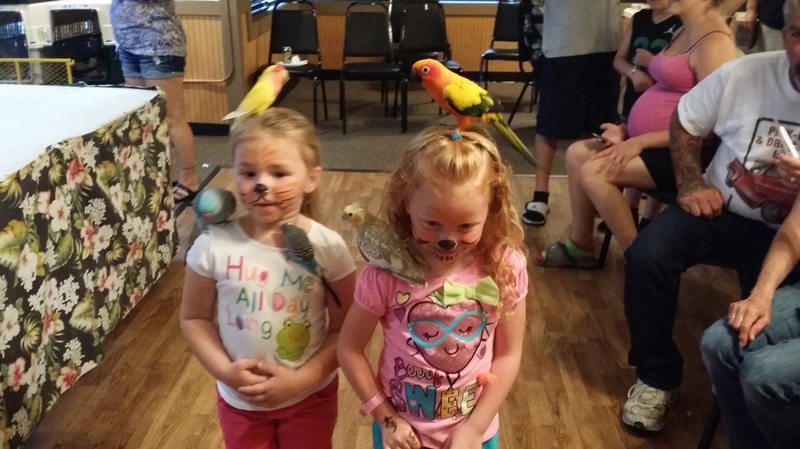 Kids Fest 2015 - That Guy with the Birds! Two great friends enjoying the birds! The ninth annual Kids Fest was held June 8 at Murphy Hall. This event is free to the public and is sponsored by the Connellsville Lions Club and Bud Murphy's Restaurant. There were lots of things to do for the kids from Balloon artists to Karaoke! If you missed this event, be sure to look for it next year! Thanks to those who came by to see the show and hold the birds. Special thanks to Jim Steffano for bringing us into the fine event and we hope to see everyone next year! Pictures at Kids Fest 2015!